Awhile back our local grocery store was running a special on crab. We had so much leftover we were trying to find new uses for it. This rich amazing meal or appetizer has a grand total of 180 calories. SO SO SO YUMMY. Mix the crab, cream cheese, mayo and hot sauce together. 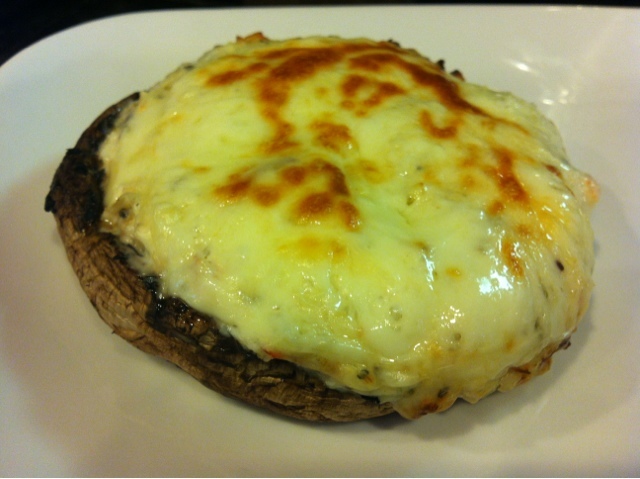 Fill the cleaned mushroom cap and top with the slice of cheese. Bake this at 350 for about 12 - 15 minutes.